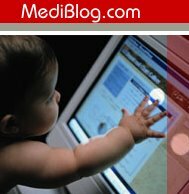 The Story of MediBlog: Respect! A free online health & fitness diary. I had a brief conversation with Steve yesterday afternoon as he'd just got Liferay up & running on Glassfish & MySQL and wondered what best to do next (clearly there must have been some downtime between Jerry Springer and pub opening times...) . Last year I had an estimate from Liferay to configure the email portlet to work on the hrtrust.org site and was quoted 3 days, on that basis one would assume that its a difficult task so I suggested "get the email portlet working" as the next step - saying "respect due" if he managed to do it. A few hours later got the text "You may respect me at your leisure, mail portlet up and running". I wonder how he did it..?